Have you ever been curious to know where the painter/inventor Leonardo Da Vinci got his ideas and what went through his mind? Well, you won’t get a better chance to get to know a bit more about the artist with the series Da Vinci’s Demons. The series has an interesting take on Da Vinci’s personality and shows his inner struggles with his brilliance and problems. Hence the name Da Vinci’s “Demons”. Let’s take a look at Season 2. There’s a war raging on in Florence. More precise, a war between two important families, the one being the House Medici (which is in control of Florence at that moment) and the Pazzi family, who wishes to overthrow the De Medici and seize the power for themselves. Da Vinci himself is part of team Medici and tries to help their leader, Lorenzo de’ Medici, escape from battle as he’s seriously injured. In the previous season, we saw how Lorenzo’s brother Guilliano was killed, how Lorenzo himself found out about Da Vinci’s affair with his lover Lucrezia and how Florence was in a total chaos. As already mentioned, Lorenzo got hurt by Francesco Pazzi and is fleeing the scene with the help of Da Vinci. 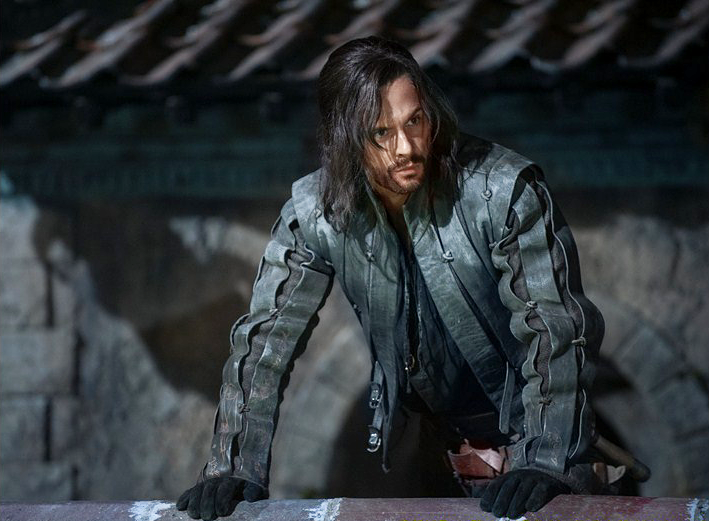 Bad guy Riario is now plotting with the Pazzi to overthrow the House of Medici. Yes, there’s a lot going on when you start up season 2 and for newcomers, this might be a bit overwhelming. Still, it’s nice to finally see the continuation of previous events as a lot of important plot twists were revealed last time around. Season 2 immediately shows what it’s made of and it’s hard to stop watching after the first 5 minutes. The pace throughout the entire season is steady but sometimes maybe a bit too steady. What I mean by that is that the series tends to take its time concerning story progression. In theory, there’s a lot happening on screen but eventually, an episode stops with just a bit more progression as you started watching it. This is also the cause that everything suddenly goes three times as fast in the last few episodes of the season as a lot of things get revealed and some unexpected twists pop-up. In the beginning, it felt like some events were dragging for too much episodes and because of it, you might end up forcing yourself to watch further at a certain moment but please do, as it gets a lot better further down the road. Visually Da Vinci’s Demons does a fantastic job at representing Da Vinci’s ideas in a very creative way. When Leonardo tries to find a solution for a problem, the screen switches to a brownish color where animated sketches show the whole thinking progress of the artist. Like this, viewers get a decent explanation on how he comes up with a brilliant machine or invention and although it might be a bit far-fetched at times, it’s still very interesting and enjoyable to see how those animations put a thought together. Other special effects can be a bit less overwhelming and sometimes they don’t look a hundred percent right. Luckily, this doesn’t bother that much most of the time. There’s nothing to complain about the cast of the series. They all bring a very good performance with some people that really shine in their roles. To name a few: Tom Riley who plays Da Vinci himself succeeds in creating a very convincing image for the famous artist while he makes certain that the artist seems like any other person. In the end, Da Vinci stays a human being like any of us, only he had the gift of having an incredible mind. Blake Ritson has my compliments as well as he does a fantastic job at making the viewers love a pretty hateful character. 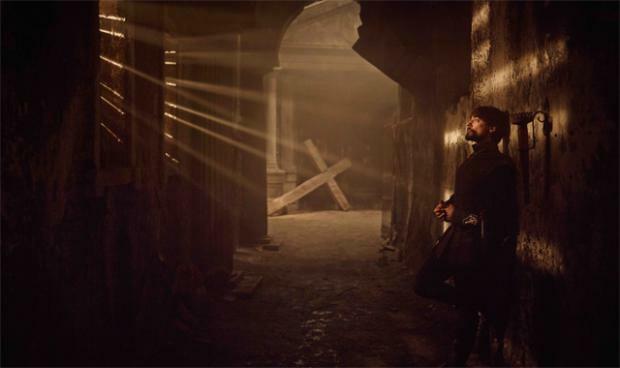 Especially in this season, where we get to know his character Girolamo Riario a lot better, it’s hard not to appreciate the effort put in the role. The new actors/actresses too are a joy to look at as they completely go with the flow of the series. I could name a lot more cast members but let’s just say that the level of professionalism is pretty high here overall. 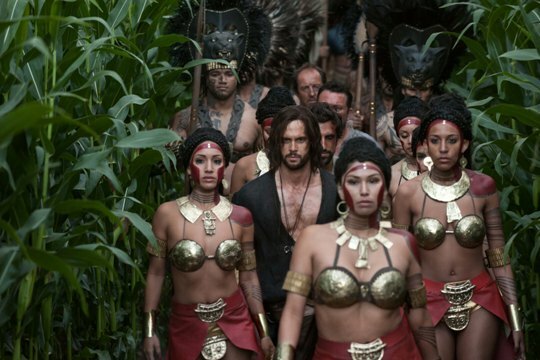 Da Vinci’s Demons season 2 does a great job as a follow-up from the previous season as it starts right off where season 1 ended. The cast is incredibly professional; the storylines are interesting to follow although the pace might have been a bit better at times. Still, there’s a lot to uncover in this season and some nice plot twists keep things exciting. Season 3 better release soon as I’m dying to find out the answers to a lot of questions which arose while watching this season!